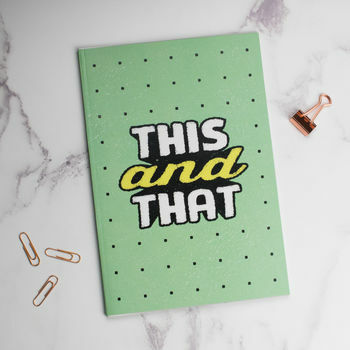 A notepad for writing down this and that. Everyone needs one. 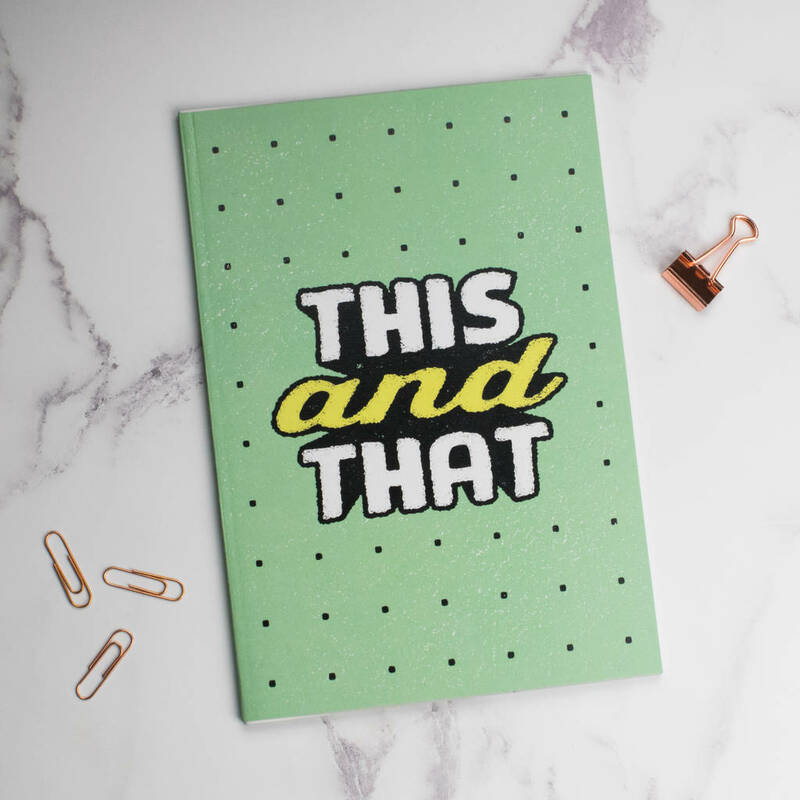 Printed in the UK, on a premium white recycled board, this notebook features a bold typographic design. 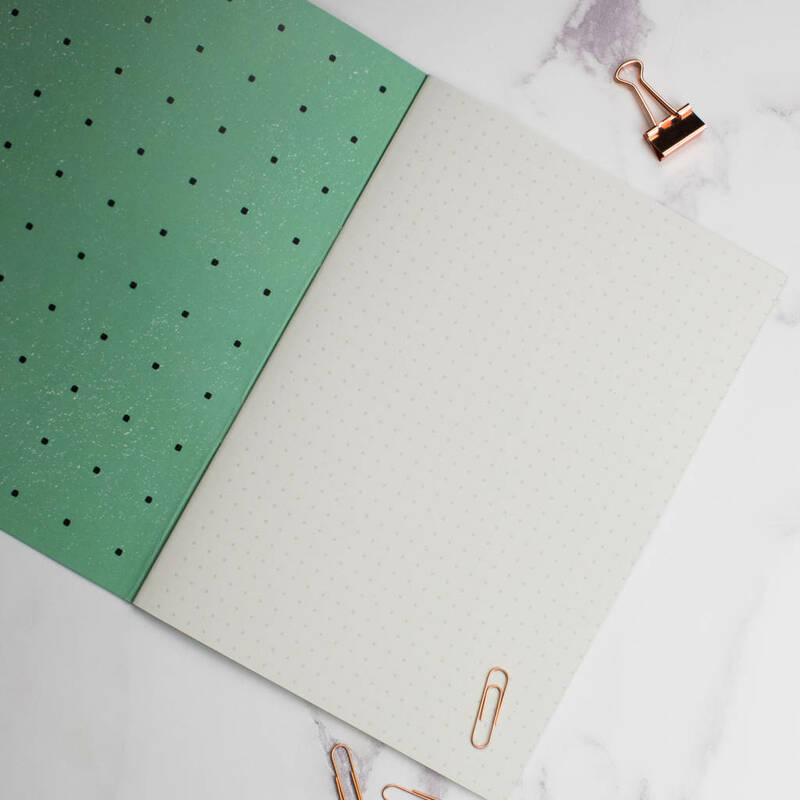 It has a stapled spine complete with 48 pages of off-white recycled dotted paper ready and waiting for your thoughts, dreams and ideas.